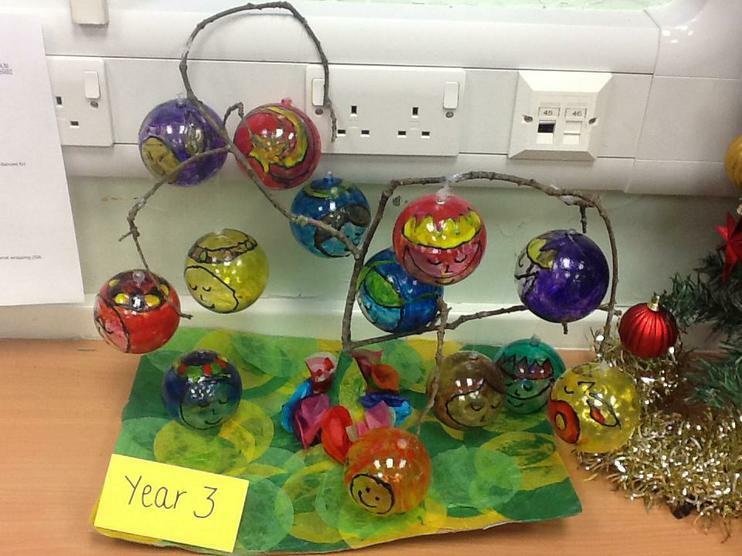 Our gorgeous Year 3 'crib' for St John's Church. 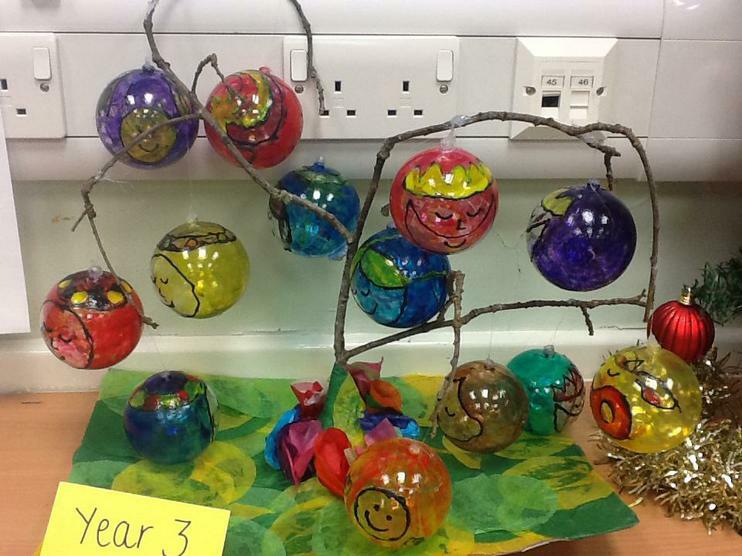 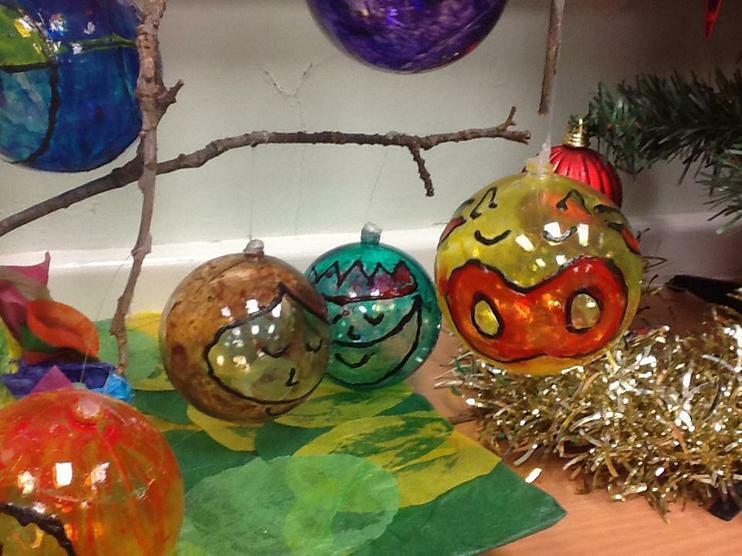 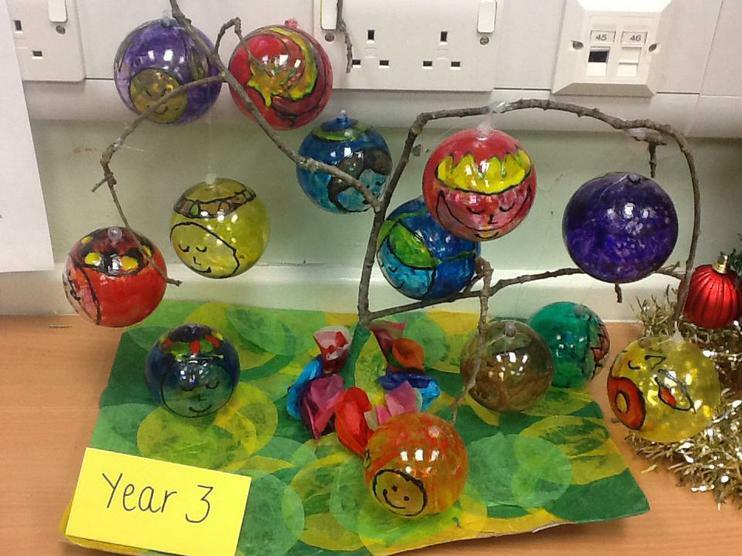 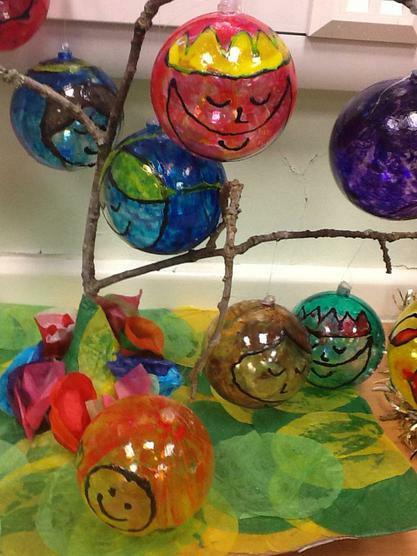 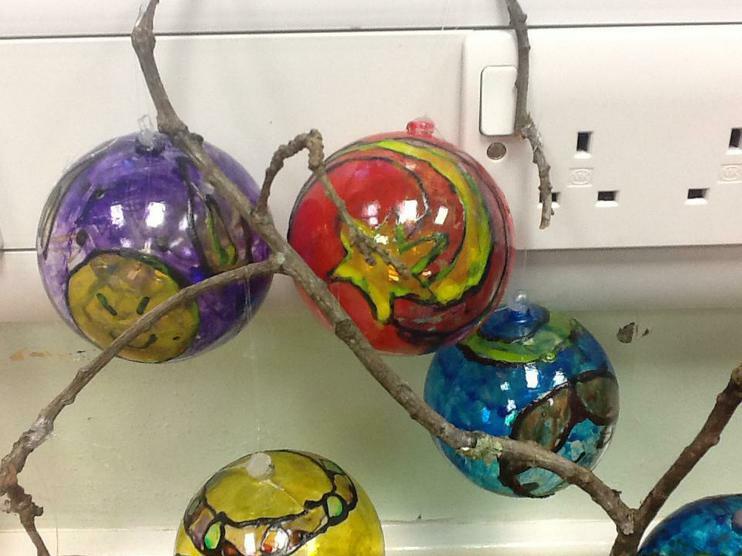 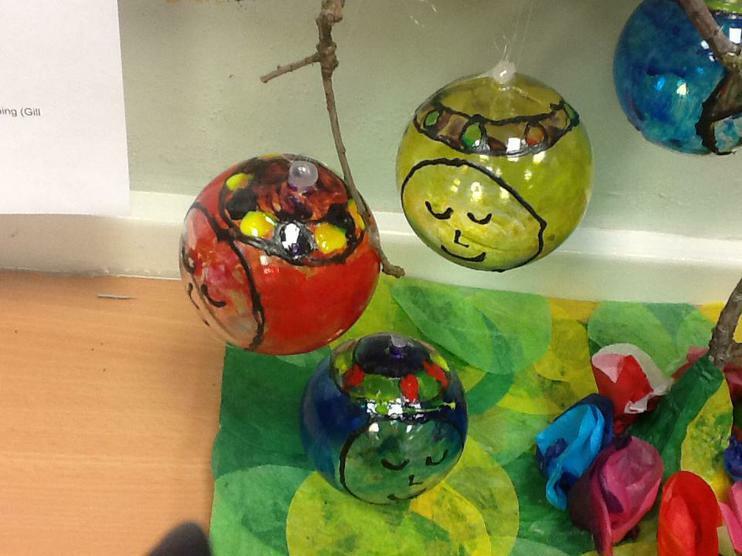 We made baubles with the Nativity characters painted onto them. 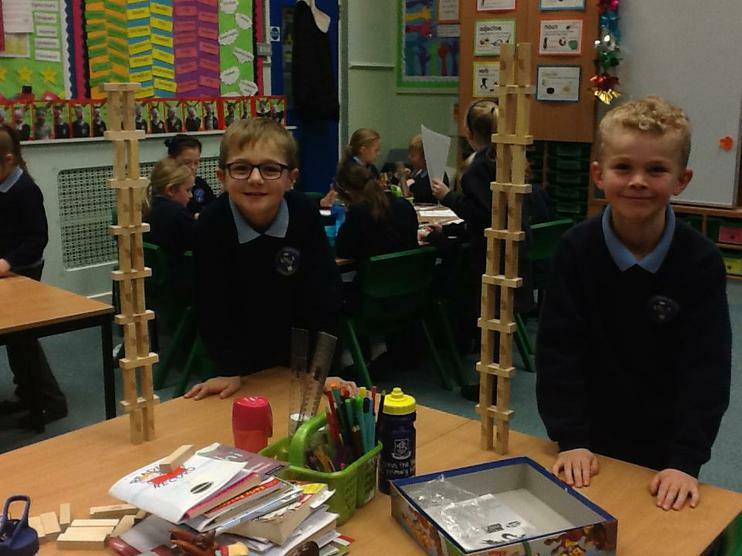 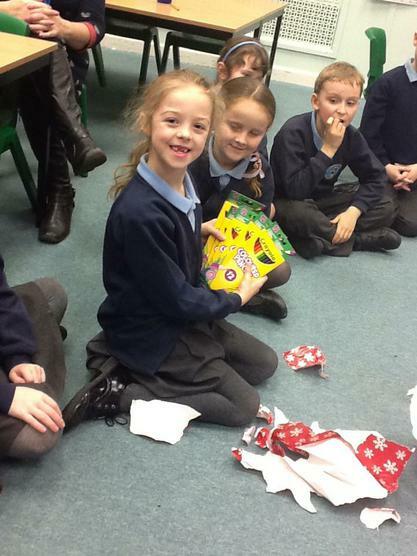 A huge thank you to the PTFA for our brilliant presents! 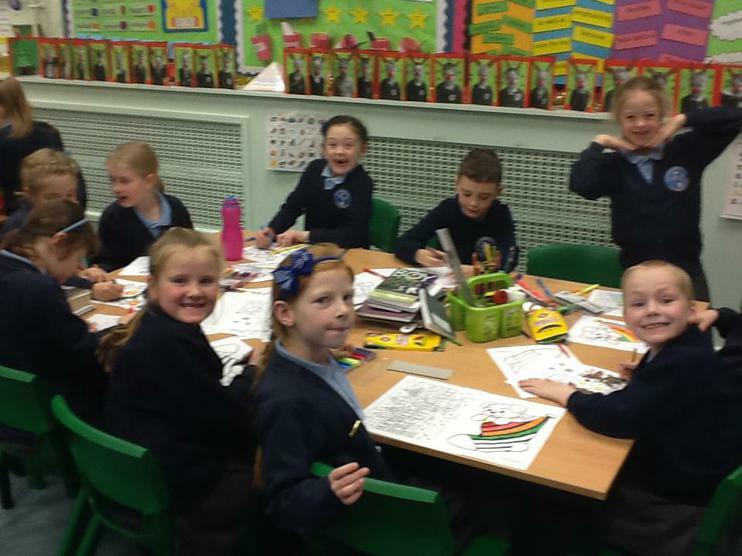 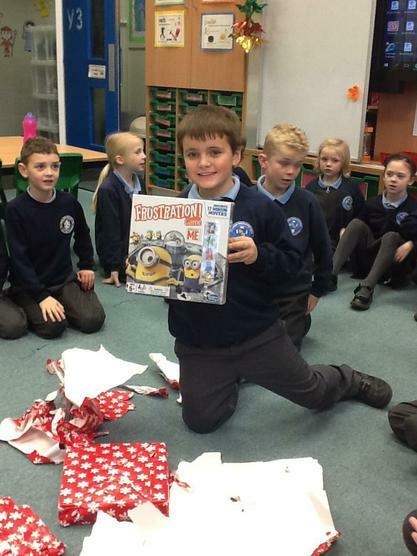 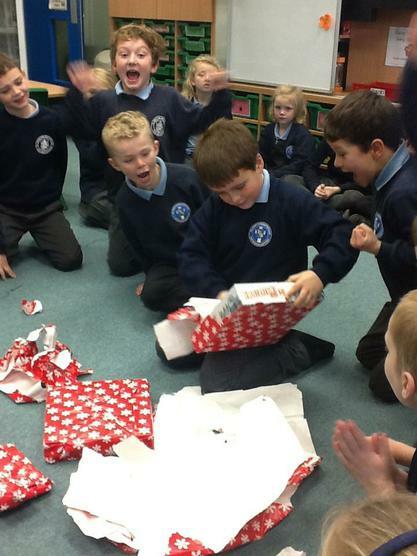 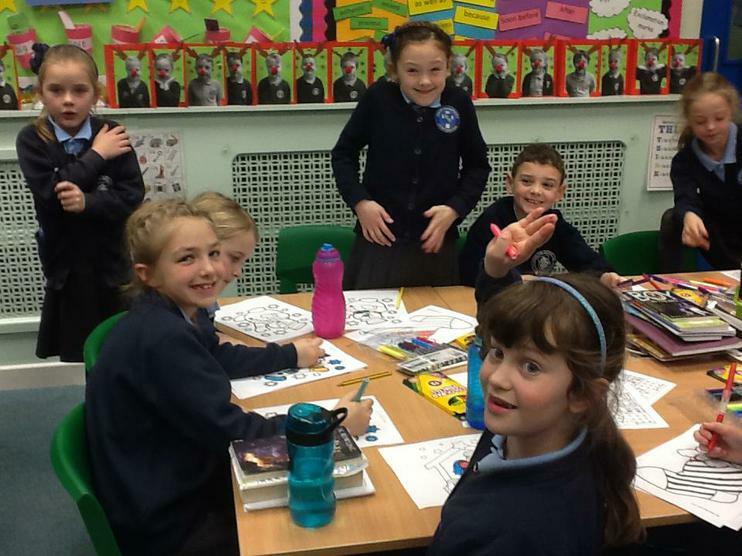 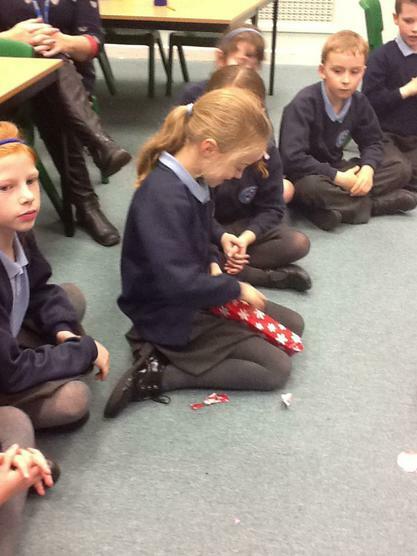 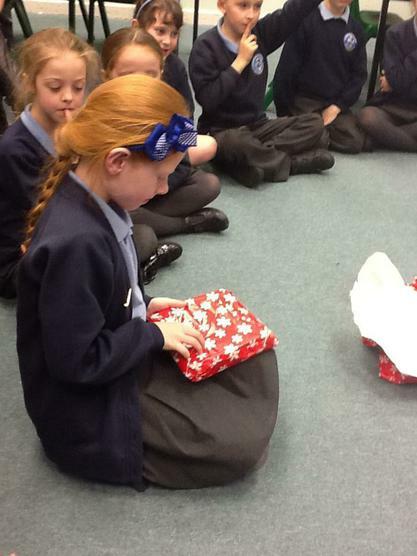 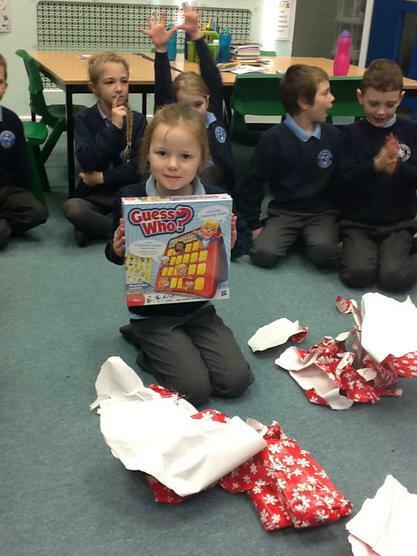 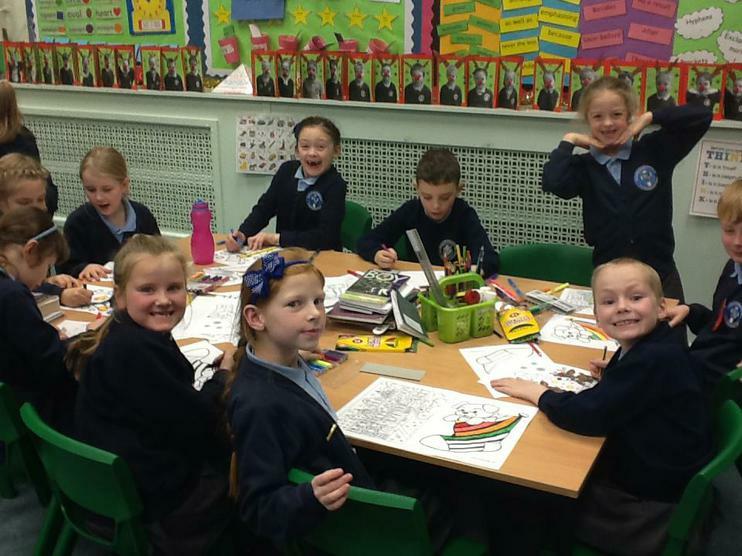 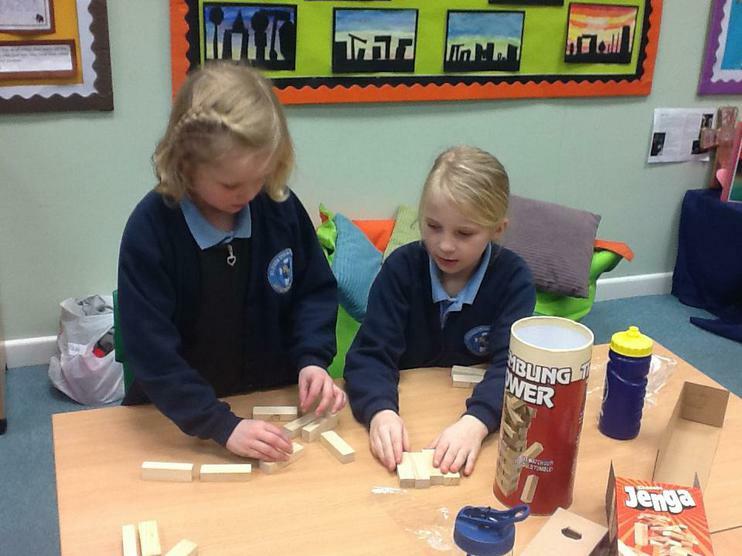 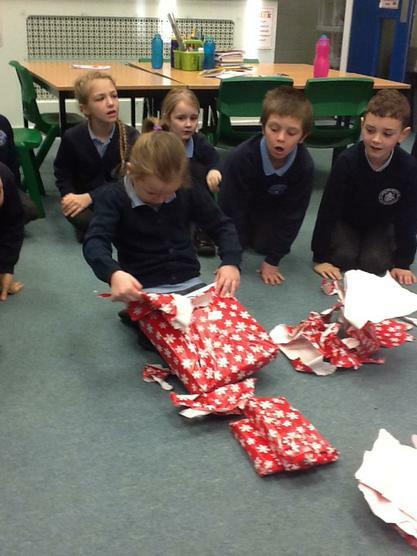 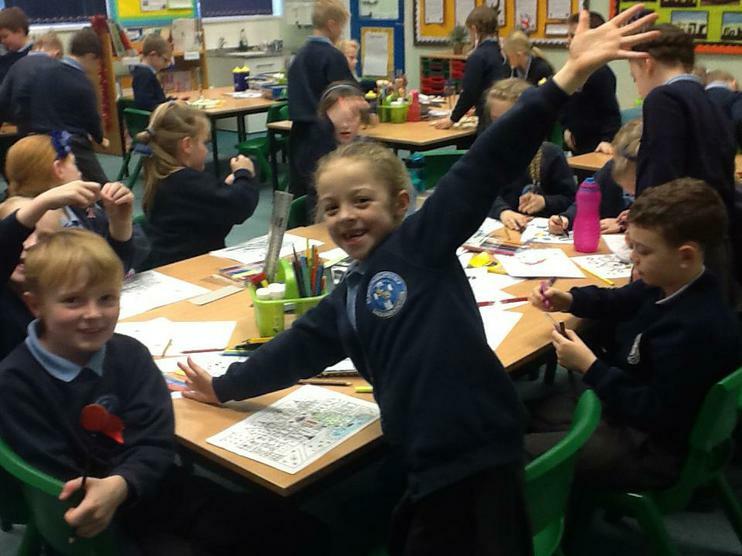 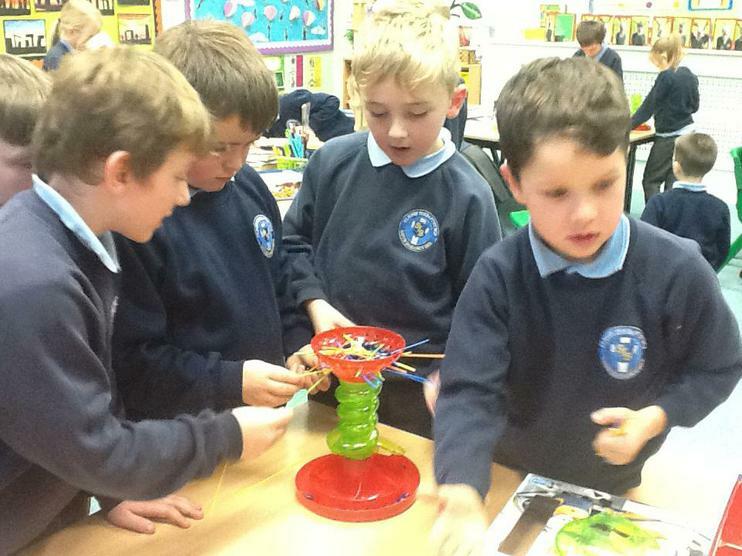 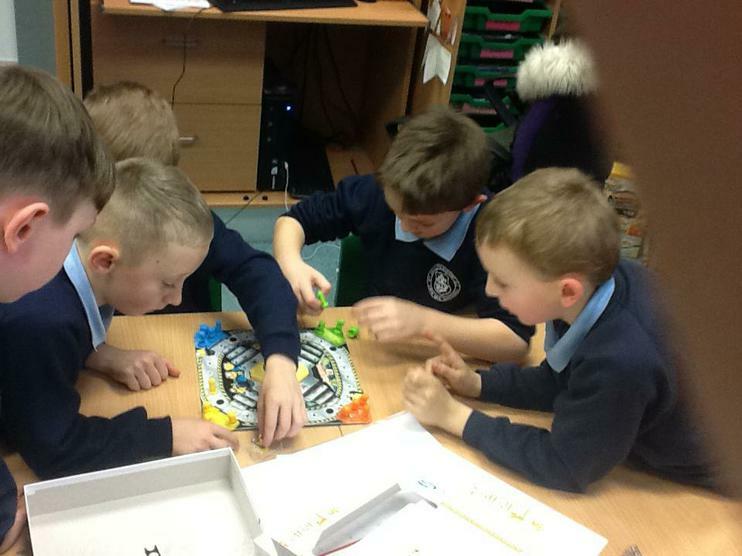 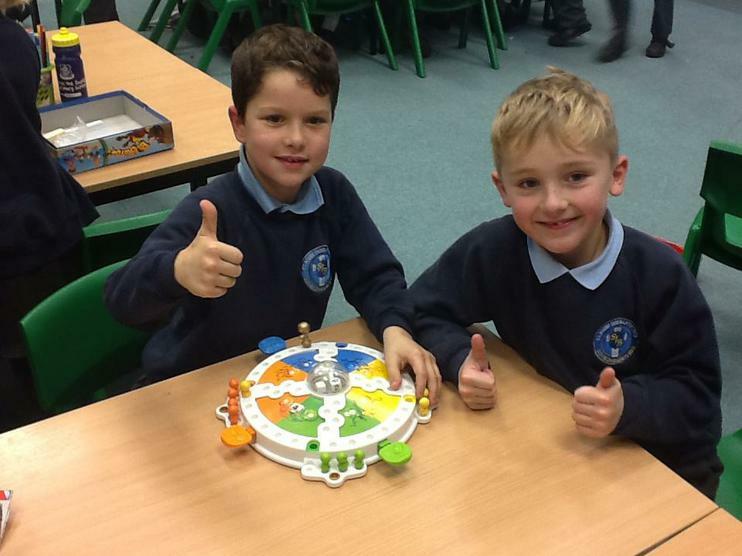 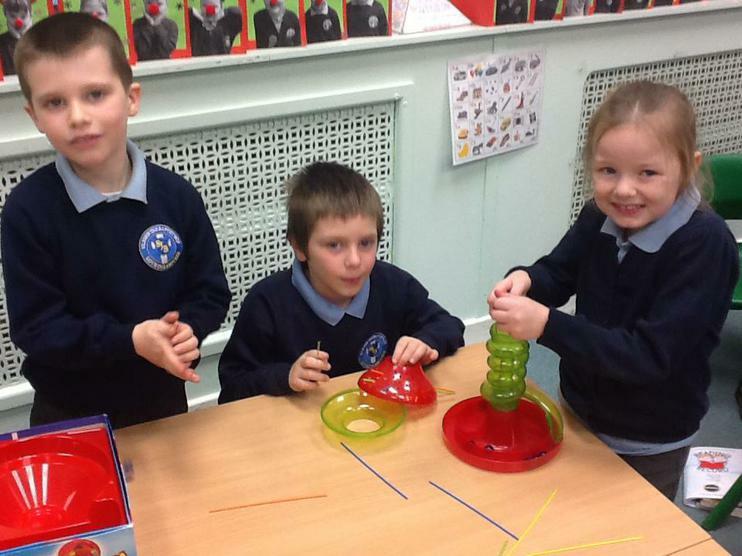 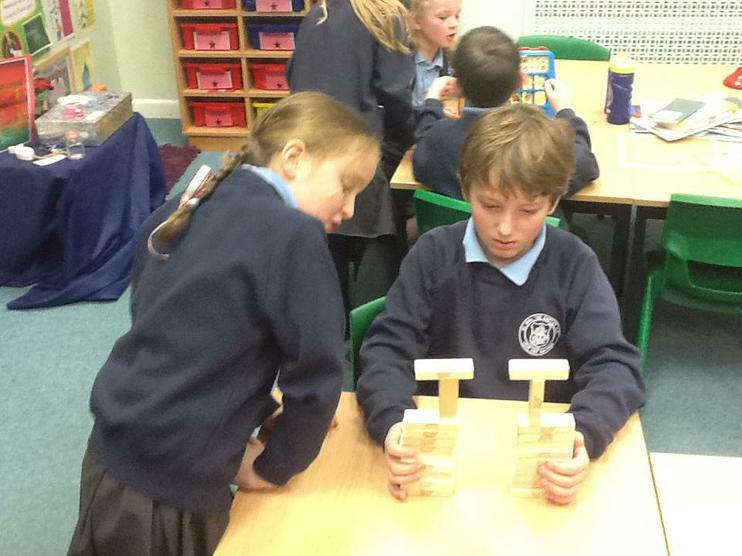 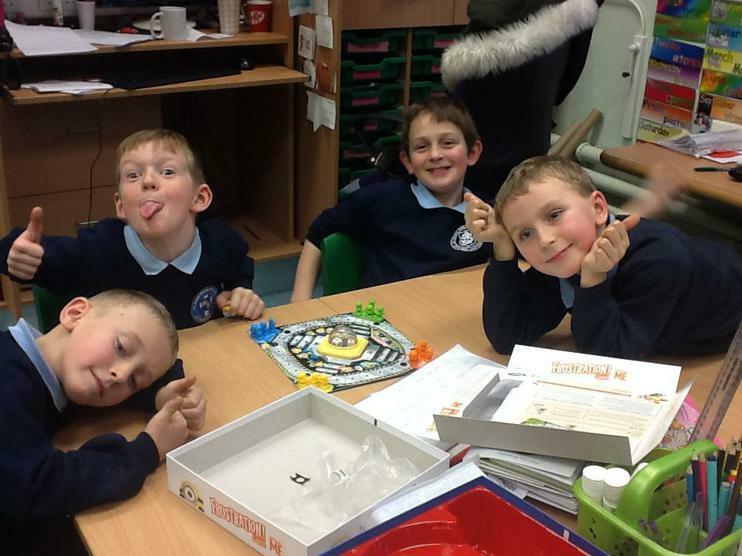 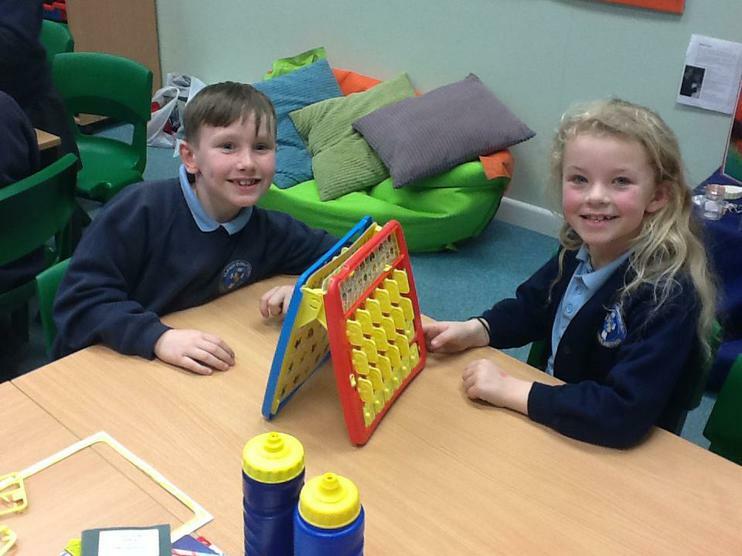 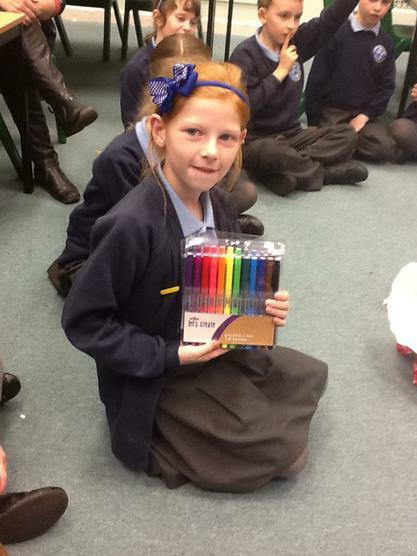 We had great fun opening the presents and playing with our new games and colouring equipment! 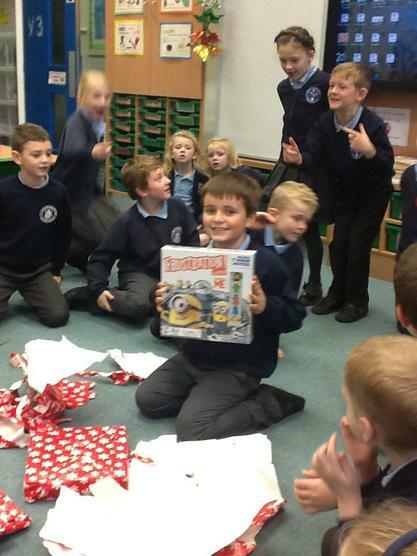 Year 3 made beautiful Christmas cards for Bradley Lowery, to help fulfill his wish to receive as many cards as possible this Christmas. 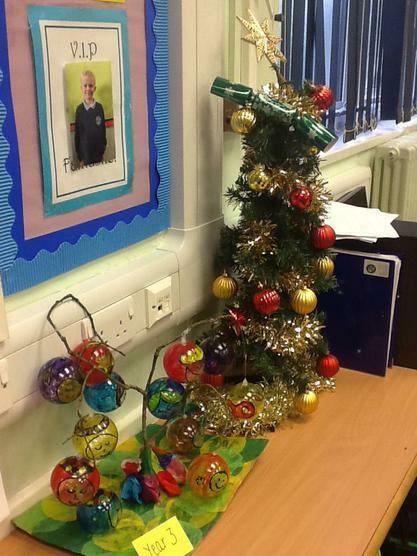 Putting our prayers onto the school Christmas tree. 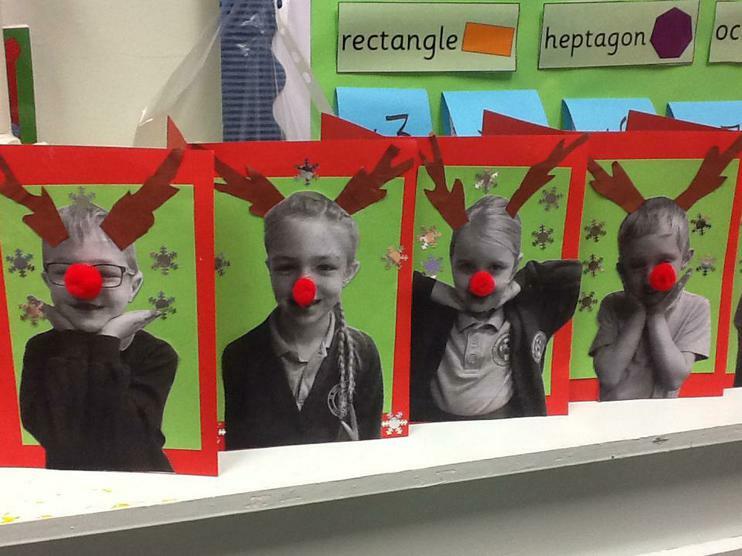 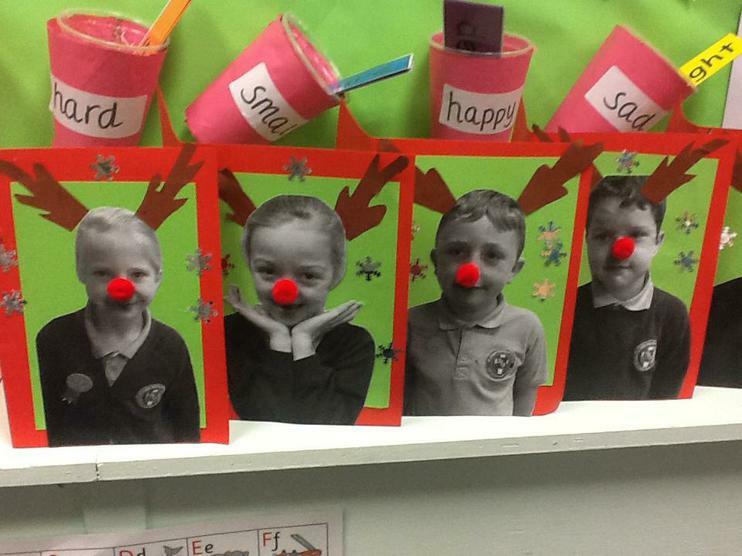 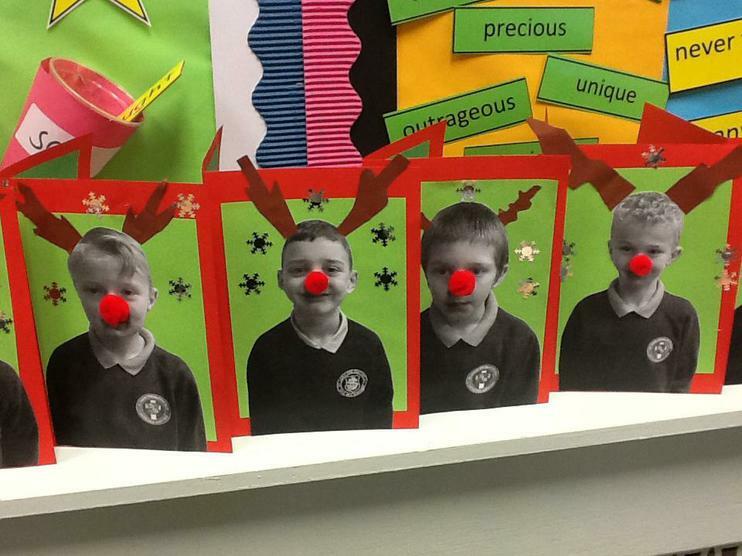 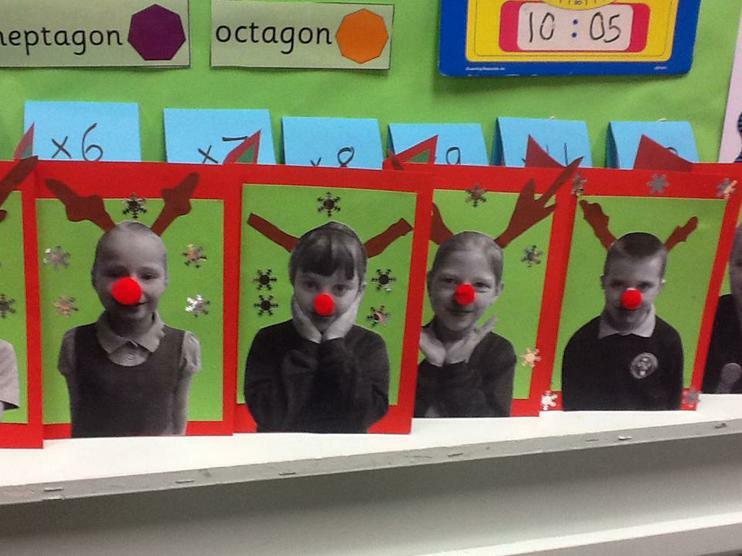 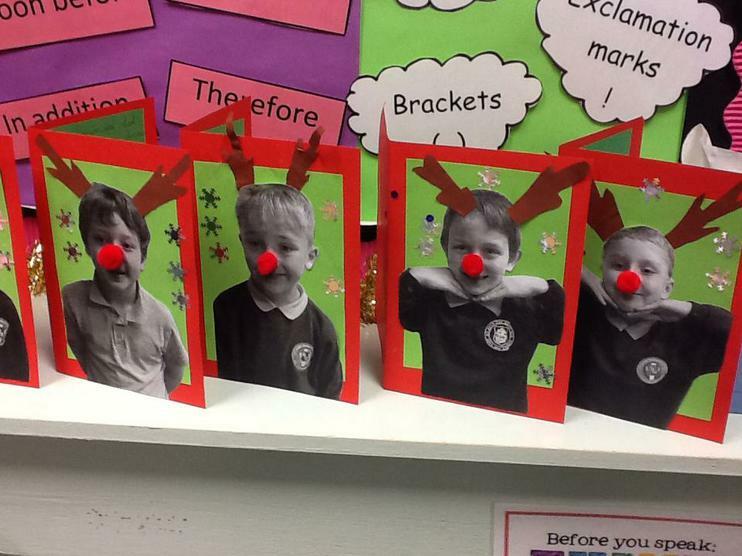 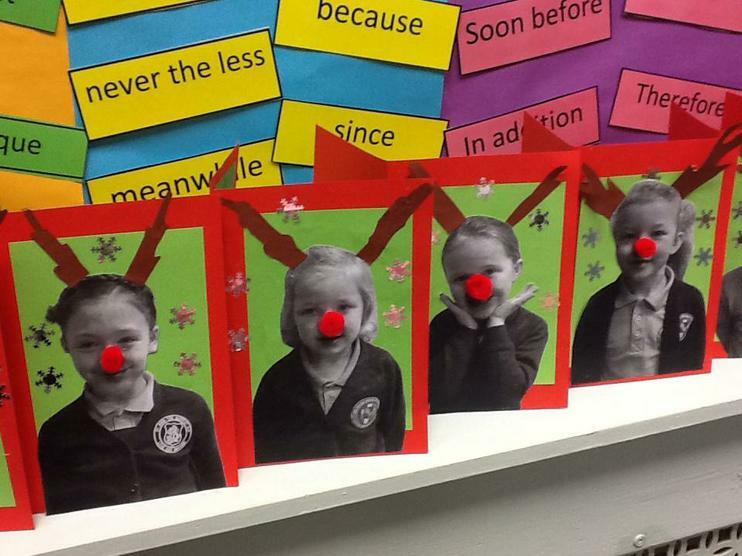 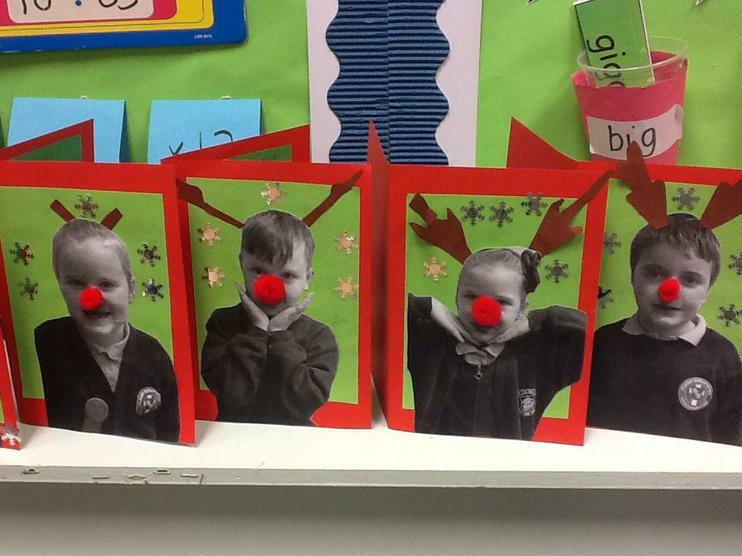 Our fabulous Year 3 Reindeer cards!